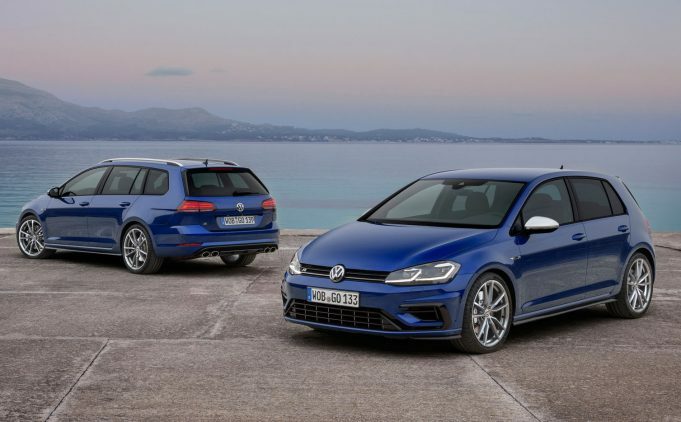 VOLKSWAGEN is determined to keep car lovers excited with the release of two new R-rated offerings from the ‘7.5’ Golf range. Joining the line-up are the Golf R Wagon and the return of the limited run Golf R Wolfsburg Edition – which comes in both hatch and wagon form. Fresh from revealing its new flagship passenger car, the Arteon R-Line last week, VW has confirmed the R Wagon will become a permanent fixture of the range from next January. According to VW’s general manager of marketing and product, Ben Wilks, the R Wagon is the perfect compromise between performance car and family runabout. “In hatch form the Golf R is by some distance the best-selling and equipped car of its type. In wagon form, it is that rarest of beasts – a fun, fast and fully functional family car,” Wilks said. Powered by the 2.0L turbo four cylinder, the Golf R Wagon will put out a respectable 213kW with 380Nm of torque, and comes paired to a seven-speed DSG as standard for $57,490. The Wolfsburg Edition also takes the seven-speed DSG and is priced at $57,990 for the hatch or $59,990 for the wagon. The special 300 unit edition also receives grey metallic 19-inch Pretoria alloy wheels, carbon fibre exterior mirror housings, Oryx White Pearl, Lapiz Blue Metallic and Deep Black Pearl Effect paint finishes, ‘Carbon’ Nappa leather appointed upholstery and a beefed up 400W sound system. It also comes standard with the driver assistance package, which is usually $1,300 extra and includes adaptive cruise control, lane assist, blind spot monitoring with rear traffic alert and dynamic light assist. An optional panoramic sunroof can be added for $1,900.